As simplistic as it was, one of the highlights of playing Monopoly as a kid was selecting which token to use during the game. After all, what do you do when everyone wants the best token (the battleship)? Back then, of course, you didn’t have a say-so regarding token choice aside from the handful that game with the game. A new version of the iconic property game due out this summer, however, changes all of that. From now through January 31, the collective Internet can cast their vote for their top eight tokens out of a selection of 56. Most of the classics appear to be in the lot – the car, top hat, thimble, boot and the beloved battleship, for example – alongside new entries like the hashtag, a Zack Morris-era cellular phone, a computer, crying with laughter emoji and a typewriter. It’s not all tech-oriented as hopefuls like the T-Rex, beach ball, motorcycle, fire, monster truck, bath tub and sliced bread (you can’t make this up) demonstrate. 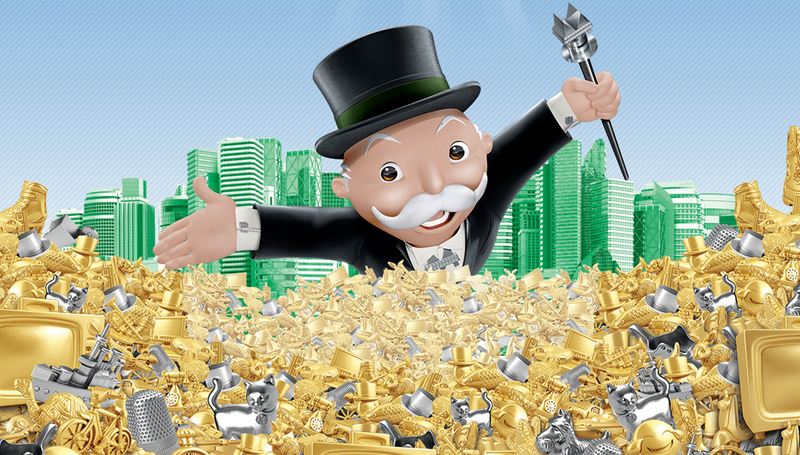 Once voting ends, Hasbro will tally and announce the results on March 19, otherwise known as World Monopoly Day. Fan-selected tokens will appear in an updated Monopoly game come August. The only question is, which token(s) will you be voting for?